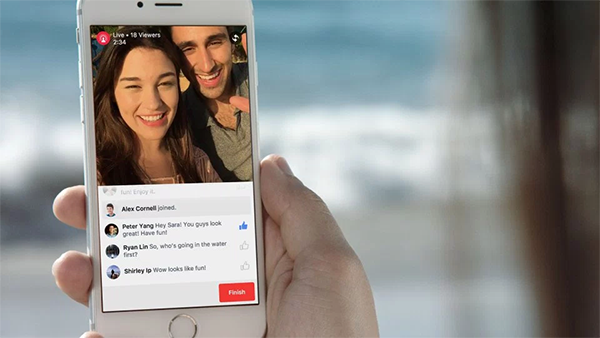 After months of testing its live video streaming feature with celebrities and other high profile users, Facebook has finally decided to roll it out to the general public. Starting today, the Live Video feature is being seeded to a small set of iPhone users in the United States, with a more broad availability to come later. Mobile apps and services like Periscope and Meerkat have already established a niche for themselves in the world of live video streaming from mobile, but given Facebook’s huge user base, it will only get more mainstream adoption once it has completed its roll out for everyone. In the Facebook iOS app, Live Video can be started via the Status field. Simply tap Update Status and hit the Live Video icon to initiate live video streaming. 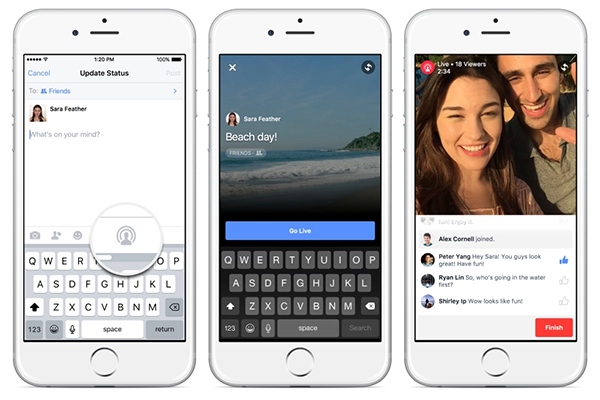 Live Video can be stringed with a quick description, and can also be customized to be viewed by a select audience only, just like any other content or status you share on Facebook. Friends that have tuned into your broadcast will be shown by name, and they will also be able to comment during the live feed which you will be able to view and ‘Like’ in real time. The live videos you do on Facebook will be available to be viewed by people you share with on your Timeline until you decide to delete them. This is unlike Periscope and Meekat where streams are available for playback for 24 hours only after the stream is over. When watching live streams from other users, you will be able to subscribe to the broadcaster so that Facebook can notify you the next time he or she goes live again. Also added to the iPhone app today is collages for photos and videos. When you tap on Photo, you’ll see recent moments from your camera roll organized into collages based on when and where you took them. You can edit your collage by adding, removing or re-arranging the photos and videos that you want to include. When you’re done, you can add a title to the collage before sharing. In short, a ‘Collage’ is basically a collection of automatically grouped together photos and videos that you took at a location or an event. Collages on Facebook are displayed in a moving form. 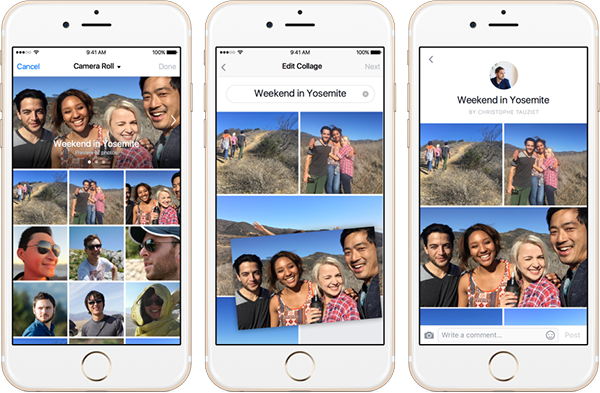 Collages are available to iPhone users right now, while Android users will have to wait until early next year to get this feature. You Could Have Said that In Kind Way too! That Makes u A CockSucker Too!